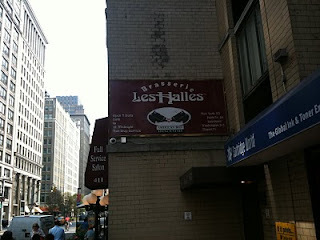 A couple of days after our busy dinner at Les Halles we were passing again and decided to pop in for brunch. It was a lot quieter but there were a few tables of people enjoying a a lazy morning meal. We went for some classic brunch dishes. 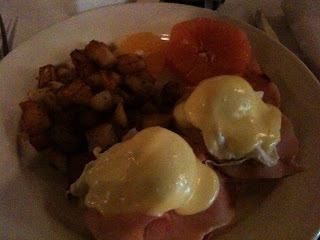 I had a New York classic, Eggs benedict. This is poached eggs on an english muffin, ham and covered in a hollandaise sauce. This was my first eggs benedict and it was delicious. 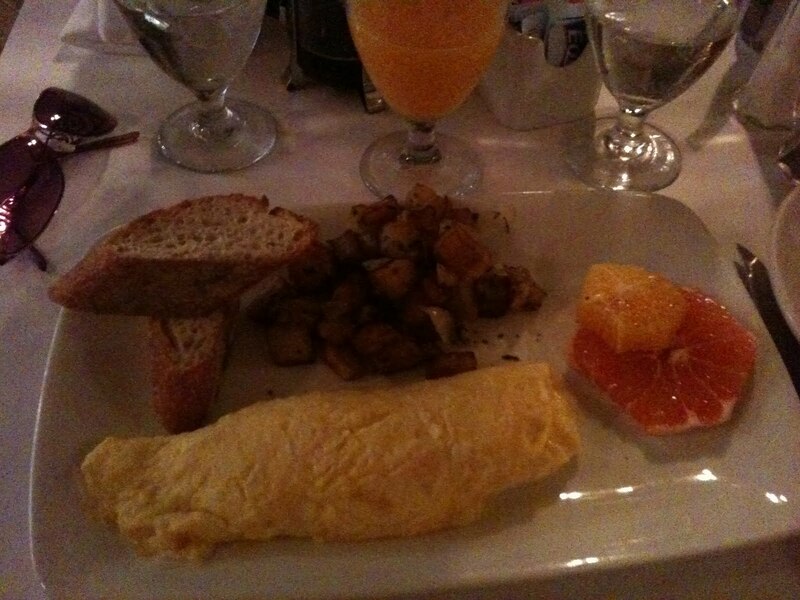 and Claire had an Omelette Savoyarde which is filled with Gruyere Cheese. Both dishes were served with sauteed potatoes and slightly strangely slices of orange and pink grapefruit! 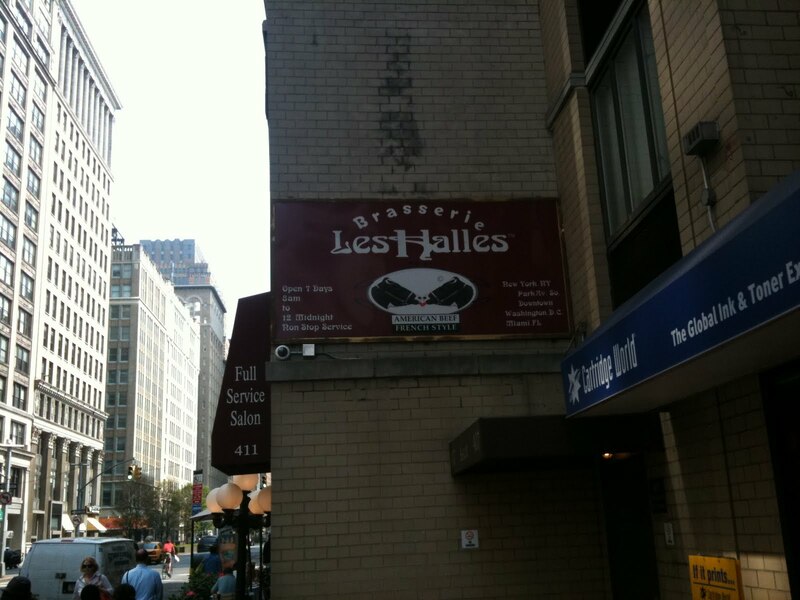 We really enjoyed both our meals at Les Halles, it was reasonably priced and I would recommend anyone visiting New York to pop in and try it out.